As part of the gold monetisation scheme launched by Prime Minister Narendra Modi in November 2015, sovereign gold bonds are issued by the Reserve Bank of India (RBI) on behalf of the government. They are a replacement for physical gold and are available in paper or demat form. Which sovereign gold bonds are supported in MProfit? 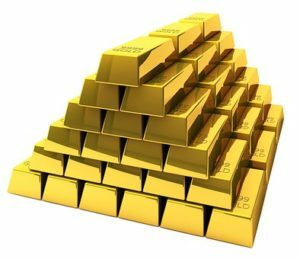 How are capital gains calculated for sovereign gold bonds? If sovereign gold bonds are sold in the secondary market before maturity after three or more years since purchase, capital gains on these transactions will be taxed at 20% with indexation. However, if they are sold within three years of purchase, the capital gains would be subject to the marginal tax rate. Our team is working to provide separate capital gains reports with and without indexation for this category, and these new reports should be available in the next public software update. The landscape of doing business in India has significantly changed in the last one year following two major events, demonetisation and the launch of the Goods & Services Tax (GST). Both measures are expected to have a lasting positive impact on the Indian economy. 2. Updates to import templates – Over the coming months, our technical team will work hard to swiftly modify all our import templates to incorporate expected changes to brokers’ contract notes. b) MProfit now has over 2,300 templates to import contract notes & files across disparate formats such as PDF, HTML, Excel, CSV, Text and DBF. We will modify templates upon request from our clients on a first-come first-serve basis. This will of course be done at no extra cost to our users! 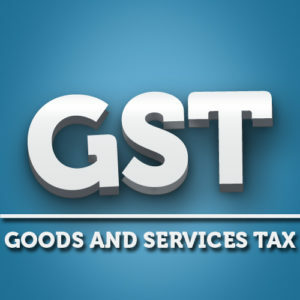 In addition to any changes to MProfit required by GST, we are also consistently committed to introducing new features to improve our core platform and address customer requests. We have recently released our new update v9.5 (build 1014.0272) which packs some new features and fixes minor issues. Below is a complete list of all new features and bug fixes. • Addition of Sovereign Gold Bonds to the traded bonds category along with current prices. If you have already added these gold bonds under the NCD category, click here to learn how to transfer them to the traded bonds category. One of our users, Nooresh Merani has written a very in-depth review of MProfit on his website. “This is one of the software I have been using for the last few years and have found it very simple and effective to use for tracking an equity portfolio. But i believe it has a lot of features for tracking all your assets. MProfit is developed by a Mumbai based software company called MProfit Software. There is a free version as well as a paid version. The free version is for the India retail investor while the paid one is for accountants, CA’s, traders, financial advisors, HNI’s and companies. The paid version costs between 3657-14020 INR for a 1 year subscription. It is also available on android allowing you to see your financial details on the go. The features that are listed by MProfit are the following …” the full review is available on his site. A family office is an organisation that manages investments and trusts for one or many high net-worth families. 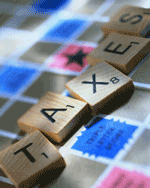 Family offices are of two types: single family offices (SFOs) and multi-family offices (MFOs). While families of high net-worth individuals (HNIs) often use services provided by wealth managers and private bankers, they often utilise their own in-house teams to manage investments. India has many large family offices including Azim Premji’s PremjiInvest, N. R. Narayana Murthy’s Catamaran and the Ambani Family Office. Having devoted considerable time and resources to understanding the investment management challenges faced by Indian families, MProfit has perfected an integrated solution that addresses each challenge. Ever since we launched MProfit, the Indian family office has been central to our software and we now have many marquee family offices and family-run businesses as clients. PenguWIN® Wealth Management Consulting and PenguWIN Investment Services are professionally managed firms headed by Sendhil Madhivathanan and Sathya Sendhil. They have been using MProfit Advisor to manage clients’ portfolios for the past three years. “I have been using the 200 users Advisor Version of MProfit for close to 3 years now. I have an IT background working for Software multinationals and have implemented Enterprise systems including Oracle, PeopleSoft and JD Edwards. The first thing that impressed me about MProfit is the reliability factor. Even Enterprise systems throw errors and shut down forcibly. But this has never happened with MProfit and this speak volumes about its reliability. The User Interface and Reports are very impressive and though it has some limitations in terms of data generated from advisor’s perspective, end users (our investors) love this Software and it is almost impossible for me to convince users to move to other platforms, including cloud based Architecture software. MProfit has an Android version too, that is used by many of PenguWINs investors and are very happy. MProfit offers several features to help investors better manage their investments. In addition, MProfit also offers an integrated accounting module that auto-creates accounting vouchers and ledgers from investment transactions. This helps investors quickly and effortlessly complete preparation of an entire year’s accounts. MProfit’s accounting module has been very popular and we have been continually enhancing it based on user feedback. 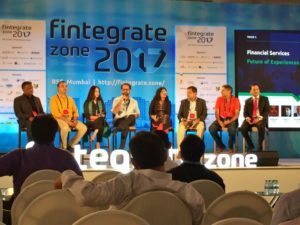 Traditionally, users have always had to manually enter transactions from their bank statements into external accounting software. MProfit has eliminated this tedious process by auto-creating vouchers and ledgers as well as enabling the effortless import of statements from a vast majority of banks in India. Bank statements (monthly or yearly) in various formats such as PDF, Excel, CSV and text format can be imported into MProfit. 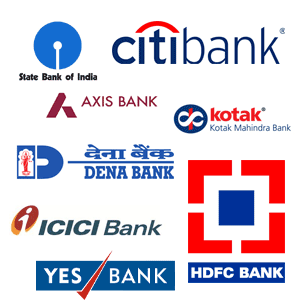 Banks supported include HDFC, ICICI, IDBI, Kotak Mahindra, Karnataka Bank, State Bank of India, Citibank, Canara Bank, Andhra Bank and many more! To check if your bank or broker is supported, please visit our import page. If your bank or broker is not listed, please call us at 022-40024149 or email us at support@mprofit.in and we’ll surely add them to our list. MProfit now supports import from more than 2,200 formats across digital contract notes, mutual fund statements and bank statements. Check out MProfit today by downloading it here! If you are looking for the most accurate and easy way to calculate your capital gains, you have come to the right place. If you invest in stocks, traded bonds or equity/debt mutual funds, you likely need to calculate capital gains for your intra-day, short-term and long-term investments. MProfit helps make this calculation process effortless for you. You simply need to import a digital contract note received from your broker or mutual fund statement into MProfit and our software will take care of the rest! MProfit follows the First-In-First-Out (FIFO) method for calculating capital gains and also adjusts capital gains calculations based on corporate actions such as mergers, de-mergers, splits and bonus in accordance with income tax rules. After automatically performing all your capital gains calculations, MProfit also prepares reports in various formats to help you understand your capital gains. With the simplicity and accuracy offered by MProfit, it is no surprise that MProfit is the preferred choice for everyone in the Indian investing community including Investors, Financial Advisors, Family Offices and Chartered Accountants. Also, if you don’t find your broker’s name in our list, do let us know at support@mprofit.in and we’ll make sure we add import support for your broker’s digital contract notes. Download a free version by clicking the link here. MProfit wishes you a prosperous 2017! 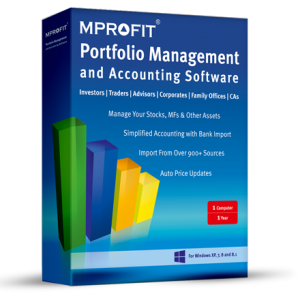 MProfit generates separate capital gains reports for Equity MFs and Debt MFs because taxation rules vary for each type. You can also generate two separate reports with indexation and without indexation for Debt MFs (Liquid funds, Income funds, FMPs and Gold ETFs). We give a quick overview of how MProfit handles these calculations and how you can easily generate mutual funds capital gains reports using MProfit. If you are an individual investor, all you need to do is import (upload to MProfit) the consolidated account statement sent by CAMS. This statement includes all types of transactions related to mutual fund schemes managed by CAMS, Karvy and Franklin for your entire family. Most mutual fund schemes are covered under this statement. Click here to learn how to request this file. Note: the dividend reinvestment of 100 units with a NAV of 11.00 on 25-Apr-15 is characterized as a new buy transaction.